Sunny isn’t just the weather forecast on Sesame Street - it’s also the name of Elmo’s sunflower friend! 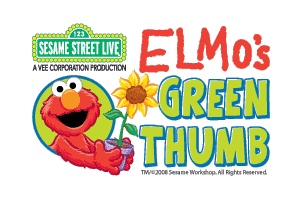 Join all your favorite friends on an amazing adventure as they help Elmo find a new home for Sunny in the all new Sesame Street Live stage show, "Elmo’s Green Thumb"
Elmo has raised his sunflower, Sunny, from a seed, but his floral friend has outgrown the flower pot. Elmo and friends find Big Bird’s garden the ideal place for Sunny to flourish and grow but they are too excited to wait. Rather than let Sunny follow nature’s course, Abby Cadabby, Sesame Street’s fairy-in-training, casts a spell to make Sunny grow. The spell does just the opposite and, instead of growing, Elmo and all of his friends shrink! While Abby searches for just the right words to reverse the spell, Elmo, Zoe,Telly and friends explore Big Bird’s garden from a smaller perspective and learn some big lessons about patience, overcoming their fears and appreciating the role that each creature plays in our ecosystem – from dancing ladybugs and beautiful butterflies to grouchy beetles that scavenge the garden floor. Will being small help Sunny grow tall? 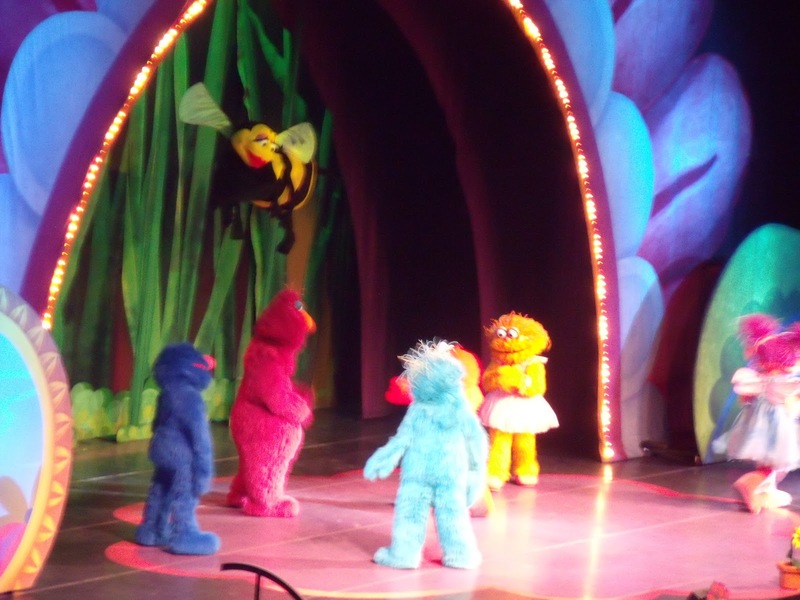 It’s a fresh, original Sesame Street Live from a whole new point of view! Like television’s Sesame Street, each Sesame Street Live production features timeless lessons for all ages. The universal appeal of each musical Broadway-quality production continues long after preschool. Adults will appreciate the high-tech stagecraft, cleverly written script, and music they’ll recognize and enjoy sharing with children, such as "Ladybug Picnic," "Inch by Inch" and "I Love Trash." 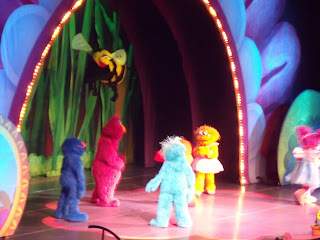 We have had the pleasure of attending Sesame Street Live every year in our area since B was 1. It has become a tradition in our home, so we were super excited to see Elmo's Green Thumb on Saturday at the Mohegan Sun Arena! The kid's watch Sesame Street Daily; they are well versed on all of the great song's such as "Ladybug Picnic" and Oscars anthem "I Love Trash", so naturally they sang along with great enthusiasm throughout the show. The set was incredibly colorful and engadging, reflecting the color and beauty of the great outdoors. The story line of Elmo's Green Thumb, was adorable. Teaching little one's to be eco-friendly while also learning important lessons about patience and friendship. Between the gorgeous set, the singing, and the dancing....the kids could barely contain their joy and got up to dance quit a few times! Yet another wonderful experience with Sesame Street Live......Elmo's Green Thumb was an AWESOME day out with the kids! 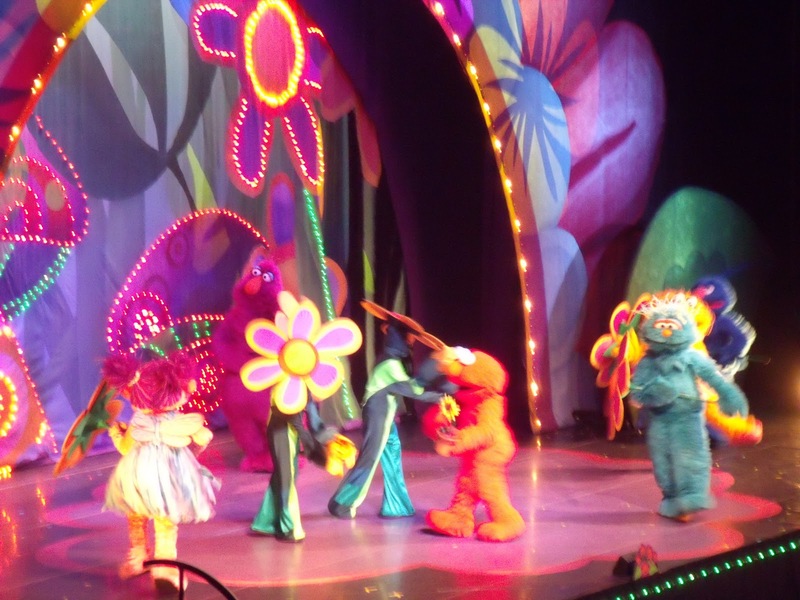 Sesame Street Live is ALWAYS a great idea....and TONS of fun! 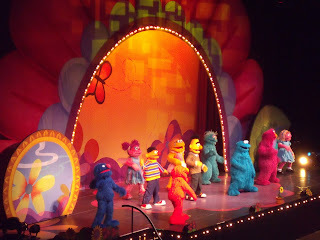 Find a Sesame Street Live Show in YOUR AREA ......I am confident you'll have a memorable family experience! DISCLOSURE: Access to the show was provided for review purposes. I am not required to write a positive review. The opinions I have expressed in this post are my own. I am disclosing this in accordance with the Federal Trade Commission’s 16 CFR, Part 255.